A teal limited-edition Big Tuna x PDJ tool roll. Big Tuna Bags is a local custom bag maker that we're more than happy to have in our portfolio. 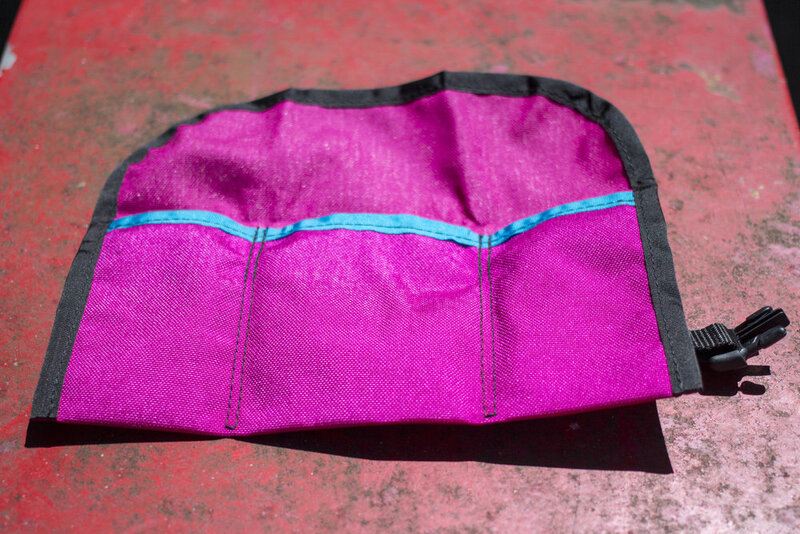 Aaron Anthony makes bar bags, frame bags, tool rolls, fanny packs, race totes, and stashers all the time, but he's happy to take on custom work. Featured here are the limited-edition PDJ tool rolls we helped design. We've got colors and colors and colors and... but they won't last much longer here. Expect a full feature on this custom Niner SIR 9 frame bag soon.